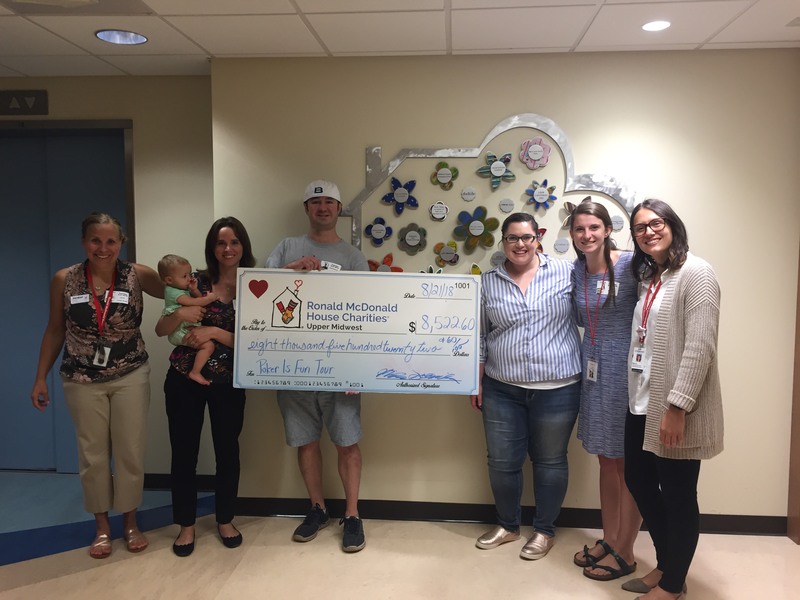 This evening, Ronald McDonald House Charities — Upper Midwest received all proceeds ($8,522.60) from “Crazy Pineapple” and “Winners Shown” events at Canterbury Park on July 20-22, 2018. 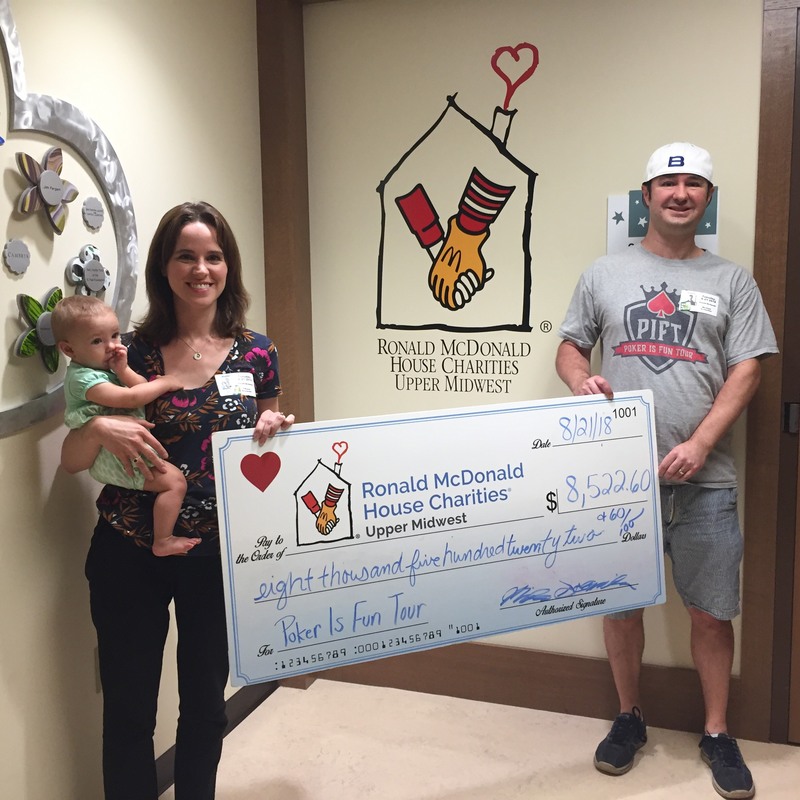 To read Schneids and his family’s firsthand account of how Ronald McDonald House has personally impacted them, click here. We are proud to have supported an awesome cause in such a strong way, and are grateful for all the generous players who came out to play 1, 2, and in some cases even all 3 of our PIFT offerings in July. Without you, the poker players, we wouldn’t have been able to raise such large amounts of money for charity.